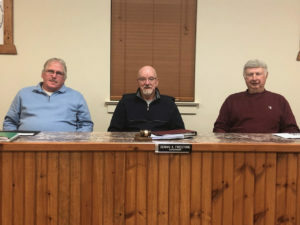 The Board of Union Township Supervisors meets on the second Wednesday of each month at 7:00 PM in the Township Building located just north of the Lickdale intersection on Route 72 (across from Swift Trucking and next to Tyco). These meetings are open to the public and we welcome your input and comments at the beginning of each meeting. If there is an issue that you would like to have added to the meeting agenda, please contact the Township office during regular business hours via phone or email.